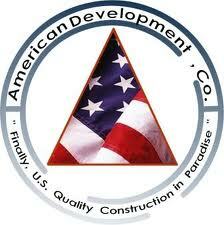 American Development Co.: American Development's Blog! The goal of this blog is to keep our customers, present and future, up to date on what is happening in Real Estate in the Riviera Maya. The last few years have been pretty crazy in the Rivera Maya. Tulum became its own municipality, a new International Airport was announced to service the Riviera Maya exclusively, and Playa del Carmen’s world record setting pace of growth (it has been the fastest growing city in Latin America for the last decade) slowed, then picked back up again. The blog, the leading developer in the Riviera Maya, www.american-development.com, along with its Real Estate arm, Canada 2 Playa www.candada2playa.com is a collaborative effort, with staff writers Floriane Crickx and Leah Campbell heading up the efforts, and guest bloggers coming in from time to time to keep it fresh. “We have already had a number of past clients who said they would like to contribute. We think that this will turn into something that will be almost communal” said marketing specialist Sugey Andrade. The blog is set up in a way that allows you to go back to past postings and get caught up on the news, in case you have missed something. So now you have no excuse not to be on the cusp of whatever is happening in the Riviera Maya. Easy to book with VacationRentalinPlaya.com!! Wine and Food and People.....Oh My! !